Ya’ll. The numbers don’t lie, my interview with Kirk Martin last month was a big hit. Which tells me parents are desperate for ways to calmly manage and connect with their children. We don’t want to yell, lecture or threaten. But in the moment we don’t know what else to do. And the kids who push us the hardest? The ones who corner us in resorting to heavy handed parenting? On today’s episode I invited Kirk to come back and give us some tools for guiding the hard-to-handle little ones (and not so little ones). Several husbands listened to episode 62. So in this episode Kirk starts with a couple of tips for the dads. Then we get personal and I get advice for dealing with the boys in our home who say “I don’t want to” more than “yes, ma’am”. The solution has more to do with me than with them…ahem. How your tone affects your children’s response. 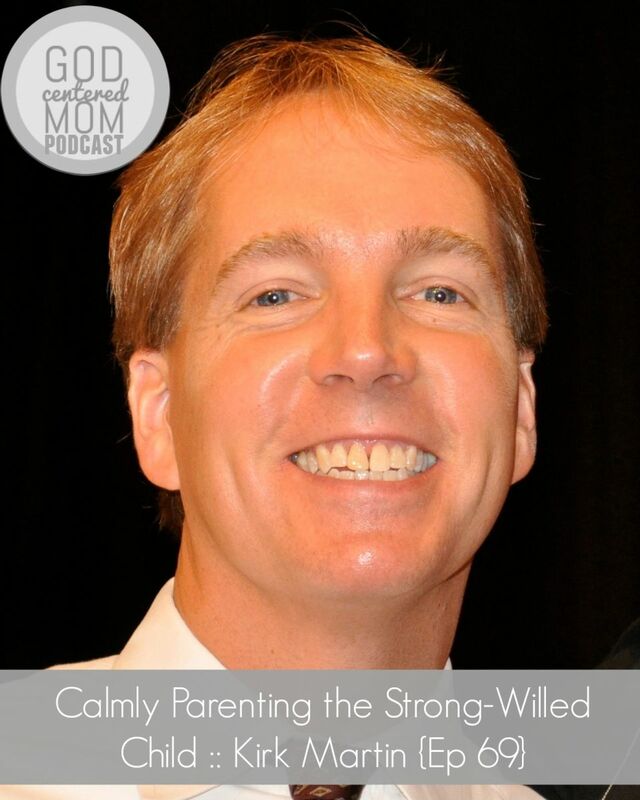 Do you have a strong-willed child? What advice did you find most useful? I just had 2 very rough days with my strong willed child this week! He is 6.5 and we homeschool. Just finished Kindergarten!! But it was NOT easy. I am looking into different ways to homeschool. I like some of the ideas Kirk had for homework. I like the ownership idea. I think that is the BIG issue with my son. So many great things to try and yes, Heather, I need serious help too. Being calm is not in my nature when my child digs his heels in and I’m strong willed too! Oh shonda! So sorry to hear about your rough days. Feel like those come in waves here as well. So thankful you found Kirk’s ideas helpful and will pray you and I learn how to stay calm & control our own emotions. Blessings. Thanks, Heather! I am actually a calm person unless my feathers are ruffled by my son. I am memorizing and working on Proverbs 31:26- “When she speaks, her words are wise, and she gives instruction with kindness.” I am also going to re-read Unglued by Lysa TerKeurst. And I still need to read Brooke McGlothlin’s How to Control Your Emotions So They Don’t Control You. With God all things are possible! Thanks for being real and sharing your real life. Heather, I have recently stumbled across your podcast and let me tell you something….I look forward to each podcast like it is pure GOLD. I absolutely LOVE it. I have recently quit my job to stay home with my 3 kids and have been struggling significantly with parenting my strong-willed 3 year old son. Your podcasts always leave me ENCOURAGED and empowered as a mother and inspire me to keep my eyes on God. THANK YOU!!! !